How can an individual maintain a steady level of happiness, no matter what happens in his/her life? Every life goes through ups and downs but what are some of the best ways to maintain a continuous threshold of happiness regardless of external turbulences? Maintaining happiness is like running on a treadmill. You will have to keep moving all the time to stay at the same place. If you feel tired, you can’t move and then you fall down since the treadmill (of life) will not stop for you. 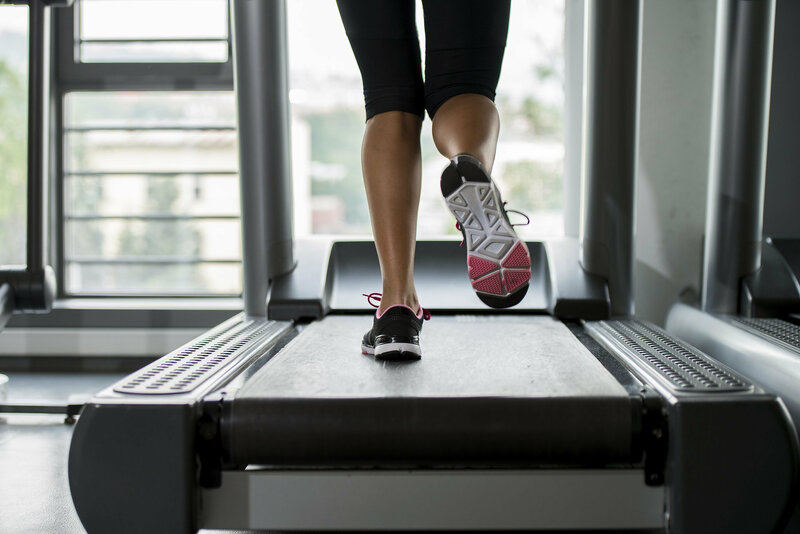 The treadmill is continuos and in order to keep up with the treadmill and be at the same place, you will have to keep moving all the time. As a person makes more money or achieves what he wants to achieve in life, expectations and desires rise in tandem, which results in no permanent gain in happiness. This is the reason philosophers have always stressed – success is not a good metric to measure happiness. You can be successful in your efforts, have whatever you want to have, reach wherever you want to reach and still be unhappy. The Pursuit of happiness is a mistake and an aimless endeavour. “Pursuit” means you are chasing and you are merely shifting the goalpost of what “Happiness” looks like, thereby making it impossible to reach happiness. There is a theory which perfectly answers your question, its called Hedonic treadmill. This theory states that every entity has a set base line of happiness in their brain and regardless of whatever happens to him/her, he will eventually return to that baseline happiness level. In life, you will win and you will lose. This phenomena is inevitable, I don’t care who you are but you will lose terribly in life and you will have your share of wins as well. However, your happiness level has nothing to do with these “Wins” and “Loses” since no matter what you do in life, your happiness level will keep coming back to its baseline and drift apart and then come back again. Let’s take a couple of scenarios. So let’s say you are promoted at work or get a raise, you will be happy for a couple of months but eventually, your happiness level will return to its original baseline level. You will feel happiness first and depression later. It is because the moment you get a salary raise, the curve spikes and then it returns to its baseline over the course of 2-6 months. When the curve returns to its baseline, you will start feeling depressed because it is a downhill journey. Point A: You are happily working for your employer. Point B: Somebody tells you that you will be promoted soon. Point C: The big day arrives when you are finally promoted. You are on top of the world. There is a sudden spike in your happiness level. Point D: Some time passes by. The dust begins to settle down. Point E: You feel a little depressed since your brain is not trained to maintain that level of happiness inside its memory. Since your brain has crossed its baseline, it is trying to come down to its baseline and your brain doesn’t care about external circumstances, it will try to always return to its “normal” state. Point F: The brain returns to its baseline. So in a period of 3-8 months, the happiness level spikes and then returns to its baseline. You return to that exact state where you were (A and F) but since there was a spike in your happiness level in the middle, the end looks gloomy. You feel sad since you cannot find that happiness level which you had gotten when you were promoted. But in reality, you aren’t sad at all. You have returned to your baseline but it appears that you have lost happiness. Reality is that you have returned to your previous “normal” state. Similarly, let’s say you lost the love of your life. In the first 5- months, you will be sad and depressed but in a year or so, this will start fading away and your happiness level will will come to its baseline in some times. You will feel depression, resentment first and happiness later. It is because the moment you lose someone you loved, the curve falls and slowly it will climb its way back When the curve returns to its baseline, you will start feeling happy because it is an uphill journey. Point A: You are happily in love with your partner. Point B: Due to some reason, the relationship appears to slip away. Point C: The sad day day arrives when you lose your partner. You feel terrible and your world is shattered. You feel lost, dead and sick. You cry, you are afraid, you feel defeated and have no idea how to recover from this setback. Point E: You feel a little happy since your brain is not trained to maintain that level of sadness inside its memory. Since your brain has crossed its baseline, it is trying to come up to its baseline and your brain doesn’t care about external circumstances, it will try to always return to its “normal” state. Point F: The brain returns to its baseline. You find a new direction in life and you are now inspired to move in that direction. So in a period of 3-8 months, the happiness level drops and then returns to its baseline. You return to that exact state where you were (A and F) but since there was a drop in your happiness level in the middle, the end looks beautiful. You feel happy since you cannot find that sadness level which you had gotten when you lost the love of your life. But in reality, you aren’t happy at all. You have returned to your baseline but it appears that you have found happiness. Reality is that you have returned to your previous “normal” state. One cannot maintain a stable threshold of happiness by living in a material world which is full of desires, attachments and illusions. No matter what you do, no matter how rich you are or how successful you think you are, you will fail to maintain that stable level of happiness. This is because you are constantly getting influenced by the material world, you will wander in this world looking for happiness but will never be able to hold on to it. One has to abandon this material world and accept the non material world to achieve that state of happiness which can be sustained without getting influenced by external factors or situations.